If you have any query on Dwarawati Bhaktiniwas photos & Reviews, please leave your comment below, we will get back to you at the earliest. Devotees can only book accommodation 60 days in advance, you may have to check latest by 21st Oct 2017 to check availability and book it online. However, for better informed decision please refer to the image shown below. It would allow you to select from various room types including charges and amenities. Please be informed that you can either login on Sai Online website or seek more help from us to better plan your Darshans. 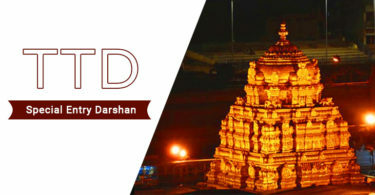 We sincerely hope this will help you in deciding and booking your Darshana and accommodation. Please let us know if you need any help. As per the latest availability chart, rooms are available and Total Amount for two Adult for 15th September Check IN at 11 AM and Check out on 17th Sep at 11 AM is Rs 1000. Please see snapshot for reference and surely helps you in planning. Do let us know if you need more inputs, and help in booking. we have planned to visit siridi from 22nd nov to 25th nov-2017. total 5 males and 4 females.we need 2 non AC rooms for 4days in Dwarabati . 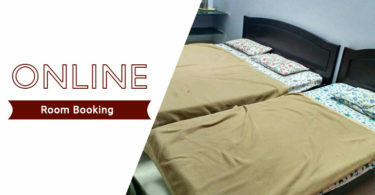 Dwarawati advance room booking will be opened from 22nd September or two months in advance from the date of check IN. Please check back or we shall be live with our new tool to check real time availability of all Temples across India on Darshan Booking. Do let us know if you need to know about your visit. we want to book rooms on 28th-29th oct for 13+4children. can you help us we want to book in dwaravathi bakthinivas only (In ac room 4+) Rs.900 or Rs 1100 i think. For date 28th-29th oct AC are available at SAIASHRAM BHAKTINIWAS. You can book AC rooms from Shri Saibaba Sansthan Trust official website. Madam from one ID or account you can only book 2 rooms for 2 days only. For more rooms you have to create another account and book another 2 rooms for the same date 28th-29th oct.
Do let us know if you need to know about your room booking. Thanks for the feedback, it will help fellow devotees. Absolutely awful place to stay with sheets not changed plus AC not working. Room unclean with staff being unprofessional. Staff not attentive plus 1 particular staff saw 2 of us (women) and started making conversation. Wanted to even accompany us back home but when I started screaming, guess after making steps into the room immediately left. We appreciate your openness in sharing this with fellow Devotees and it would definitely help them while looking to book for their travel .